This is a really sweet Moleskine journal, for keeping track of all your favourite shoes, and all the antics you've gotten up to in those heels! 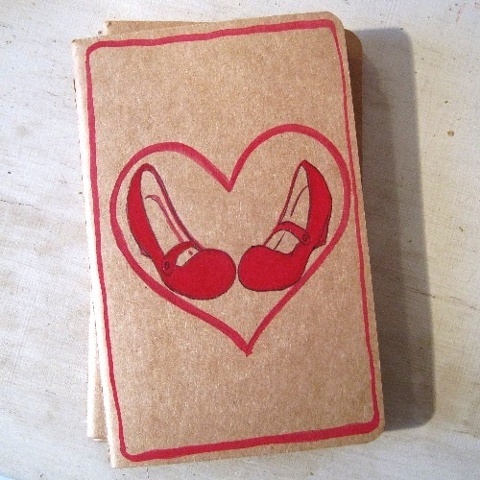 Mary Jane shoes are hand painted on to the cover of this legendary journal using gouache. There are 64 perfect pages in this notebook- and, as with all Moleskines, the last 16 pages are detachable. There is also a very secret pocket on the inside back cover- for all your secret notes.